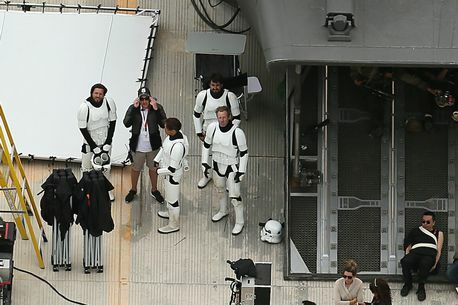 First Photos of Stormtroopers on set from Star Wars: Anthology – Rogue One! 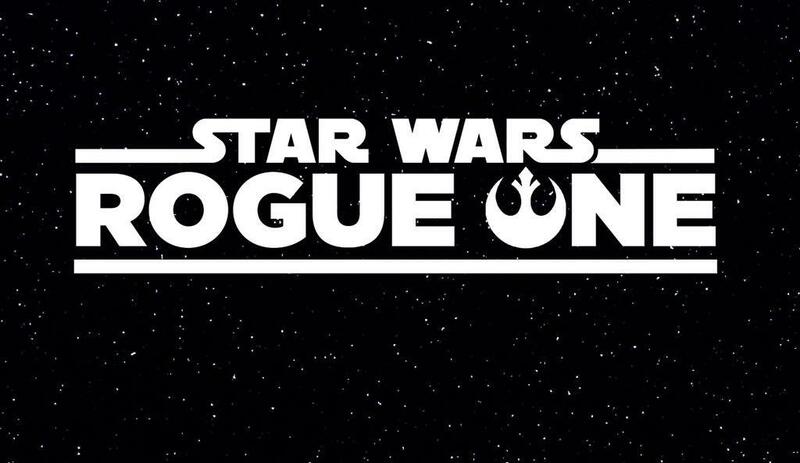 POTENTIAL SPOILERS FOR STAR WARS ANTHOLOGY: ROGUE ONE! The Mirror Online is running a piece today with Star Wars photos. They believe the photos are from Star Wars: The Force Awakens. 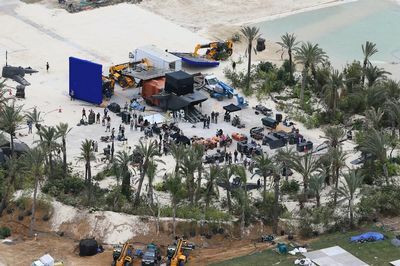 However, I’m pretty sure this is from Rogue One. The stormtroopers are not First Order stormtroopers, they’re Galactic Empire Stormtroopers and the landers are dark gray. 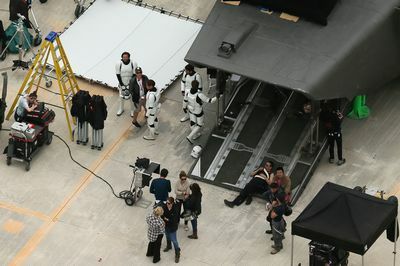 Right now at Pinewood Studios the “White Vans” are getting a fresh coat of gray paint as they will be reused in the film. The landers appear to be pretty much the same as 40 years before Finn gets in one; it just has slightly different coloring on the outside. As you can see above the landers now are coated with a fresh coat of gray paint, which pretty much confirms the story. The landers from The Force Awakens are being used in Rogue One. 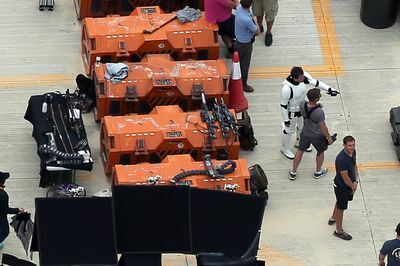 The picture above is the gray lander, which is the same as the ones used for The Force Awakens. 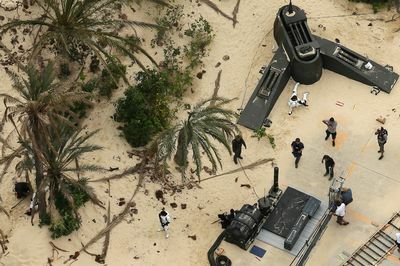 So there we have our first Star Wars: Rogue One photos of substance, it seems!